Hi Ladies, Sooooo sorry for the hiatus, been really busy with appts for the whole dec. Thankyou very much for appreciating my skills and coming to me for this mth. Had a full slot appts for few weeks and Im thankful for that. 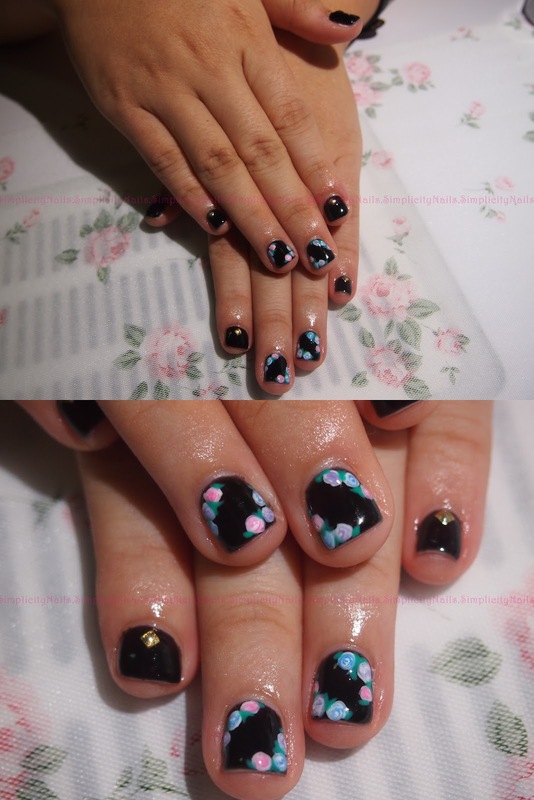 Did this set of black floral with studs. love the colour combi..